The French President has promised to formally initiate the shutdown of the country’s oldest nuclear reactors on the grounds of environmental and safety concerns surrounding the Fessenheim power plant near the German and Swiss borders. Speaking at the 4th Environmental Conference at the Elysée Palace, Francois Hollande promised to formally initiate the closure process by issuing a decree that will revoke the authorization to exploit the Fessenheim plant. While no specific date for the closure has been offered, Hollande said that “discussions are ongoing between the state and (operator) EDF on the conditions of this move.” The president also added that the plant located in the Upper Rhine would be the first in a series of nuclear facilities that will be shut down in the coming years. Hollande stressed that the closure of the oldest nuclear plant along others “must be done according to a specific timetable, respecting personal and our climate commitments." According to the French leader, the government will hold a review on the state of French nuclear facilities in 2018, after which the country’s nuclear watchdog will decide which plants to keep offline. 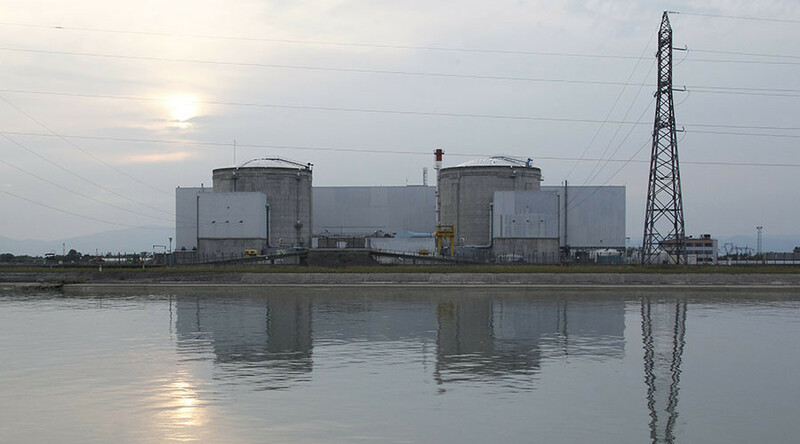 The German government earlier this month called on France to shut down the Fessenheim plant as soon as possible, after an April 2014 accident when one of the reactors had to be shut down after water was found leaking from several places. 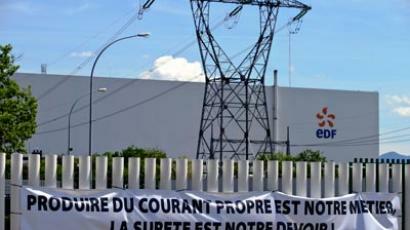 Fessenheim is not the only French plant that has its European neighbors worry. Luxembourg and Germany also raised concerns over another power plant, at Cattenom. Switzeland also brought up environmental risk issues over French nuclear plant Bugey. The presidential pledge to shut down Fessenheim comes as part of Hollande's presidential election promise to transition the country to at least 50 percent renewable energy generating capacity in the French energy production. During his speech, Hollande promised to present a “roadmap” on achieving the energy production goals on July 1. Under the alleged proposal France seeks to reduce the share of nuclear energy mix from 75 percent to 50 percent by 2025, by shutting up to two dozen of its 58 operating reactors.